Strength, honor, grit, and freedom - all are characteristics of the US soldier and what they stand for. And so, Smoke Inn and Espinosa Cigars have set out to create a cigar with the same virtues - one to honor our courageous troops, a cigar that smokes like a true warrior. 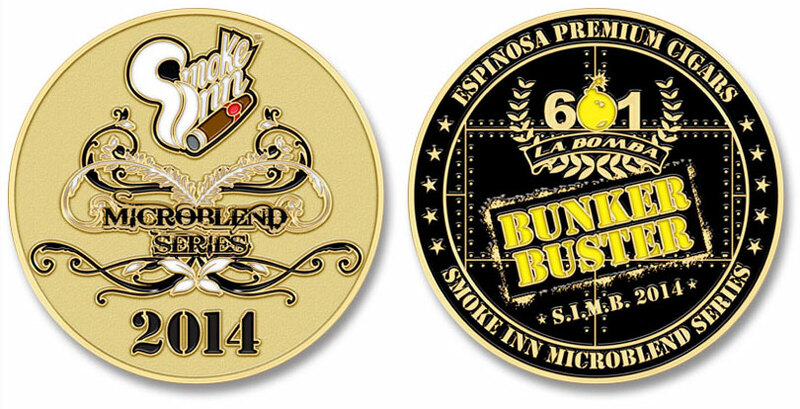 For the newest release in the Smoke Inn Microblend Series, we've teamed up with Espinosa Cigars to create one full-forced, power house cigar - introducing the 601 La Bomba Bunker Buster. 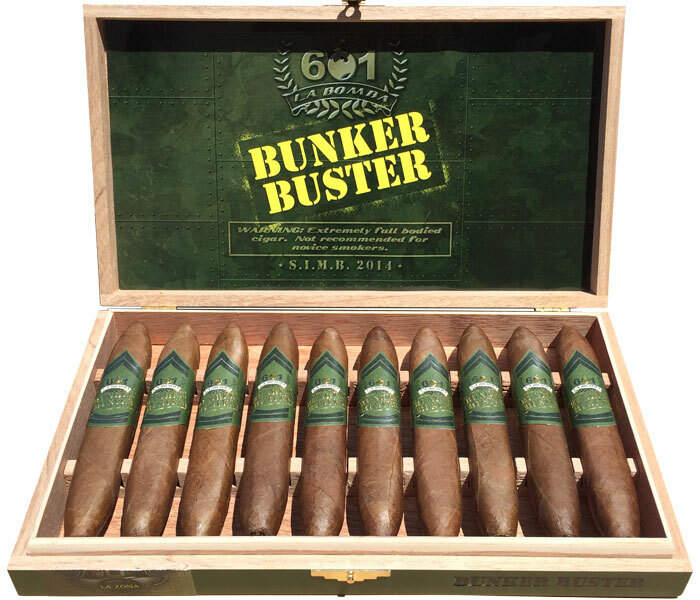 Inspired by our US Military, the Bunker Buster features an old-school army-green design - with ammunition-style boxes and military stripes across the band. But that's not where this tribute to our armed forces stops. This cigar is truly relentless! Featuring a full strength/full body flavor profile, the 601 La Bomba Bunker Buster gives a full arsenal attack on the senses. Nicaraguan fillers are concealed within a rather strong criollo binder, and draped with a beautiful Habano claro wrapper. Add to this a 5 1/2' x 56 box-pressed figurado vitola, and you're looking at one beautiful cigar! Try this exclusive, limited release cigar today before they're all gone.